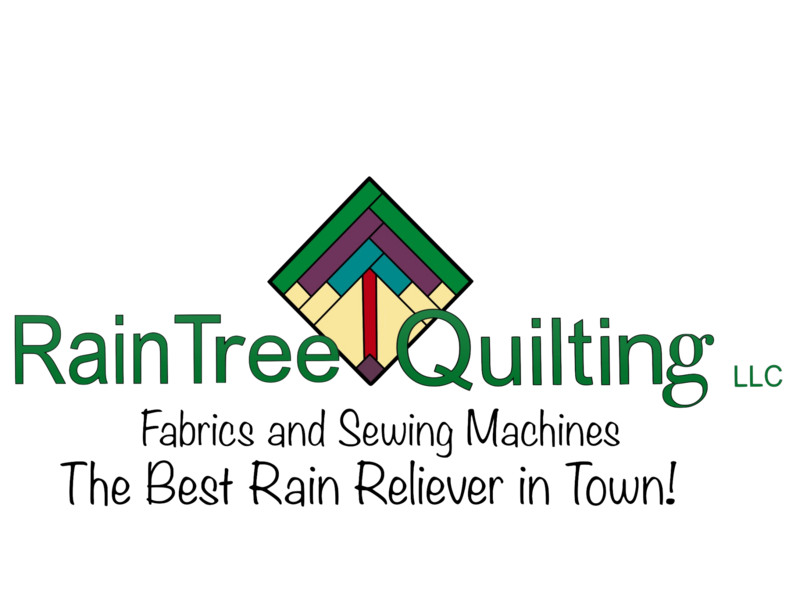 RainTree Quilting of Juneau, Alaska opened in January 1998. We are not only Juneau's premier quilting store, but also Juneau's exclusive dealer of BERNINA sewing machines. Our store provides everything you need to sew or quilt, including sewing machines, sergers, long arm machines, notions and tools, books and patterns, as well as the latest in contemporary and traditional fabrics. Sewists of ALL levels are encouraged to visit our shop and let the fabrics inspire... Raintree strives to offer a variety of classes for quilting, garment sewing and sewing crafts. All staff members are sewing experts with differing specialties. As of October 1, 2016 Jodie Buck is the owner of RainTree Quilting LLC. Jodie has been sewing since she was a small child. Her sewing experience includes: garment design, custom bridal work, flat pattern design, teaching in the public school arena, private instruction, quilting.... Before purchasing RainTree Quilting, Jodie taught a variety of classes through the store. She loves working with high quality cottons, rayon and silk fabrics and is working to add more diversity to the store's fabric selection without compromising the selection of quilting fabrics. Jodie's motto is: Sewing Should be Fun! She honestly believes that one must learn to love sewing before learning to master it. She is heavily involved in the planning of all classes at Raintree, working with each instructor to help them improve their craft!